Panama City, FL (July 18, 2016): David Weekley Homes hosted a rebuild project through the Bay Education Foundation benefitting Tommy Smith Elementary, a Title I school for more than 500 pre-kindergarten through fifth-grade students in Panama City. 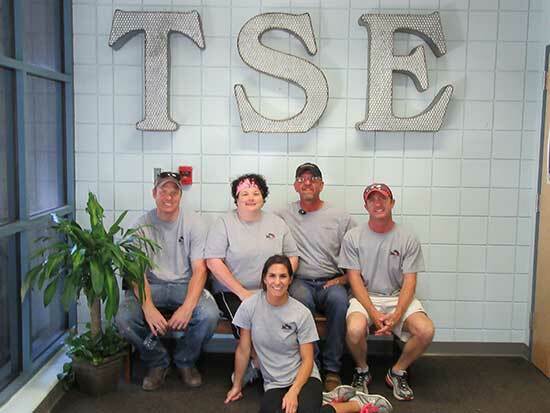 Weekley team members joined together with volunteers, including vendors and school staff, to renovate the reception area, teacher’s lounge and outdoor spaces. The project involved about $1,000 in materials and labor, along with nearly 50 volunteer hours to complete these renovations. Vendor and trade partners that donated time, money and materials to work with Weekley Team Members include Intercontinental Painting Company, Sherwin-Williams and The Home Depot® in Panama City Beach. “Thank you for all your help with the beautification and facelift of our school,” said Sandie Blaich, a teacher at Tommy Smith Elementary. “What a blessing you are to our school.” The project was an initiative of the company’s CARE program, which is a charitable and volunteer program that partners team members with homeowners, homebuyers and community partners with nonprofits to make a positive impact in the lives of everyone it touches and in all the communities it builds through its purpose, Building Dreams, Enhancing Lives. This is accomplished by company team members volunteering countless hours to different organizations in their communities and by The David Weekley Family Foundation donating more than $100 million to a variety of organizations through the U.S. and abroad over the past 20 years. David Weekley Homes team members pose in the newly renovated reception area at Tommy Smith Elementary.